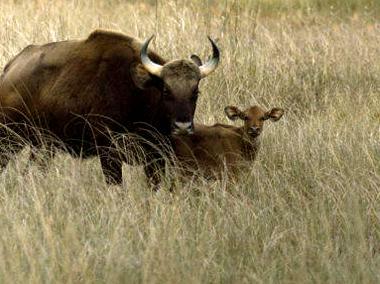 Satpura National Park wildlife is nestling in the lap of Satpura ranges. 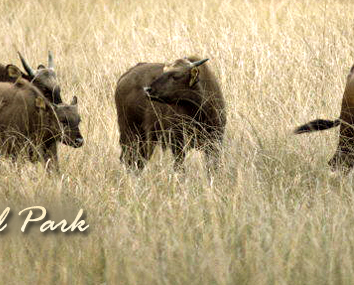 Park is among some of the most scenic nature reserves of India. 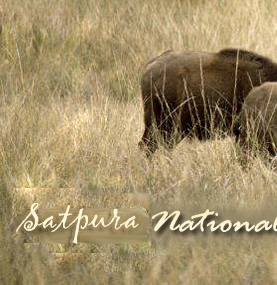 Satpura National Park area is spread in 524 sq. km but with the inclusion of adjoining Bori Sanctuary and Pachmarhi, area of Satpura Tiger Reserve covers an area of 1427 sq.kms. Their are 03 entrance gates for jungle safari: Madhai Gate from Madhai village, Kajri Gate from Pachmarhi side and Anarpani gate. Among them Madhai and Kajri gates are most frequently used by visitors. Usually domestic (Indian) visitors, prefers to visit Satpura National Park with Pachmarhi trip so they prefers to enter from Kajri entrance gate. Here one can find the pristine beauty of Satpura forest. Dense forest and rivulets enhances the scenic beauty of rugged green terrains.